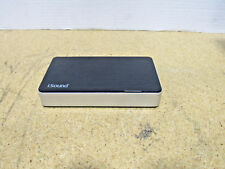 The item up for sale is USED "i.Sound Portable Power Max 16000mah Extended Backup Battery DGIPAD-4544 Tested ". • Battery with 16000 mAh (60 Wh). • LED indicator for charging & power status. Secondary functions not working properly or missing components are disclosed as follows. Smart Phones. But there will be rare occasions when my best efforts are not enough and the item you have received has problems. For Parts Or Repair Only. I am easy to work with. PC / Server Components. Compatible with iPad / iPod / iPhone. Power Indicator LED & Flip Out AC Plug. 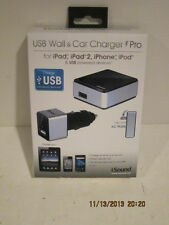 Includes 36" USB to Micro/Mini USB Cable. Power indicator LED. Compact for Easy Portability & Travel. 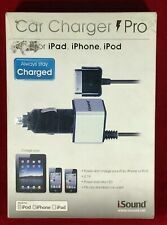 Fits any standard wall or car outlet. Compact for easy portability and travel. Pull-out car adapter. Wall Specification DC In: 12-14V. Factory Sealed. The 3 foot cable is available in WHITE This iSound product is MFi approved. It’s new, genuine, OEM and sealed. Please refer to the images for further detail. The sliding backrest design allows for customizing the depth of the dock, allowing you to adjust to the perfect viewing position. It also has 2 USB ports for charging 2 extra devices via cable. 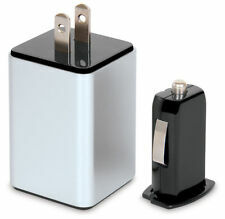 Newer Apple models such as the iPhone 5c/s, iPad mini or any other device that features a lighting connector will not work with this docking station. Open box item. OUTSIDE box is torn/taped. 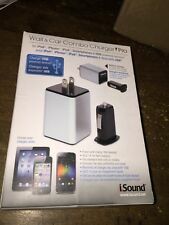 i.Sound Portable Power 16,000 mAh, One of the best units I have ever used, this unit barely been used handful of times practically brand new, few surface scuffs on the unit nothing major, it works like brand new, the AC adapter never been used.